Pro-Visual Publishing, in conjunction with the New Zealand Institute of Safety Management, are pleased to announce the release of their latest edition of the Mining and Quarry Industry Guide to Safety 2014/15. In light of The Pike River Coal Mine Tragedy, there are new mining regulations and changes to the Health and Safety Employment Act that workers must be aware of. This year’s guide highlights which mining operations are affected by these changes, new regulation requirements, enforcement of these new regulations and key regulatory amendments. This guide aims to promote site safety within the mining industry and is a useful reference for mine operators and workers on mining sites throughout New Zealand. Other relevant topics include the new requirements for safety critical roles, including Site Senior Executives, Managers, and Electrical Superintendents. Fatigue is also a prominent topic as mining often includes shiftwork and can be very common amongst workers. This year’s guide covers the causes and effects of fatigue, as well as a fatigue management plan to reduce worker fatigue. Furthermore, new emergency management requirements, such as an emergency management plan and new inter-agency emergency protocol are discussed. 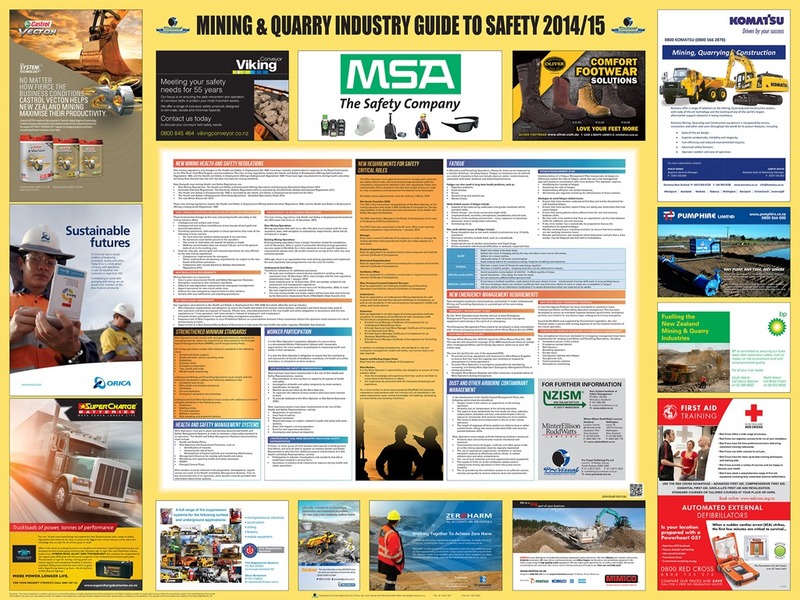 “I would like to thank all of the sponsors of the Mining & Quarry Industry Guide to Safety 2014/15. Their support has made it possible for the guide to be distributed free of charge”, said John Hutchings, CEO, Pro-Visual Publishing.